#TECH213: HOW TO GET RICH AS A CRYPTO-TRADER?? The title might be a bit misleading. However, everything is possible within the Crypto-Ecosystem. Fast learners and smart people can get easily RICH, whilst trading and pretty QUICK Too! I will assume that most of you, already know about BITCOIN and other digital assets, like Ethereum, too! You can equally check this Blog for more details. You may want to #GoogleThis : What’s bitcoin ? – What’s a bitcoin wallet ? What’s and how to use #MyEtherWallet ? – What’s Ethereum and Altcoins ? What’s a crypto Exchanges – How to trade crypto ? How to invest in altcoins ? 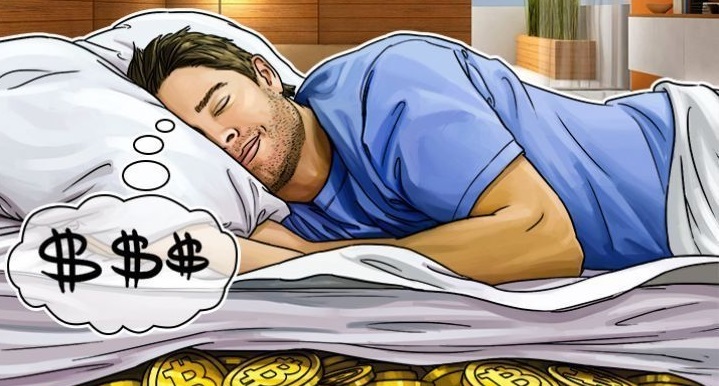 Then learn, and come to follow this guide : How to buy Bitcoin and other assets ? CHECK More about Digital Money in my Last article: #TECH213: F*CK The Central Banks!!! Bitcoin is the easiest crypto-currency to buy and sell. It is now, expensive to collect and exchanges based in northern america and Europe are not up-to-date with most of the KYC/AML procedures. KYC? : Know Your customer, it is an identification process, to shape and identify your key customers. It is a legal and regulatory requirement, especially against fraud, money laundering, etc..
WHAT ARE THE BUYING OPTIONS, ANYWAY? The second option, will be to use www.localbitcoins.com you should pay using Western Union or Paypal. HOW TO START TRADING ? After buying your bitcoins, joined Poloniex or bittrex exchanges, you can also buy other digital assets using your bitcoins, by the way! Beware though! The market is volatile! You can buy and sell, or ‘Buy and Hold’, however there’s no point telling you, to buy this asset rather than an other, without consulting knowledgeable sources, like #ADMP, for sure. This guide is just to give you an idea of how to quickly trade and invest, Old Sport’! Trade : Day-trading means that you buy in or exchange Asset and wait for it to go… UP! The old school’ advice here, is « buy when asset is low, sell when it’s high” – Basic, but still a classic in any Trading room! The best advices are the simplest! That’s the real secret to become rich! Follow this link www.coinmarketcap.com for charts, real-time capitalization and all needed informations about crypto-assets, value & volume. The market changes everyday! Therefore, there’s no rules to the game, it’s a full time job to follow charts read the trade Blogs, like this one, check and bookmark news, whilst waiting for favorable dips in the market, to get involved! HOW DO YOU GET RICH?? Automate! You need to be able to reproduce the same operations and this, several times, and at the same moment! Crypto-currencies allows you that! However, you need to start trading on a regular basis, to work out multi-trading strategies! This guide is quick and maybe hard for newbies, but that’s-about-it-really-Old Sport’! : The rest will happen in the trading room! → There are millions of tutorials and guide with a better depiction of #Bitcoin and its intricate digital patterns. Dips, volatility,…all these terms will come ‘handy’, to the user as you trade along! Educate yourself, 3 months, 6 months then dip in, slowly and trade fully after a year! → Do not waste too much of your time watching videos! Action will always be louder than words! Manager of KickEdge Capital which is Crypto hedge fund. CEO of KodePay Payment start-up based in Kenya. Website : www.kashboi.com where i list my start-ups, crypto analysis and so on ! Trader & Entrepreneur, as far as i can remember! Good and Simple Guide for Beginners! Really interestinG!